Fearful investors have withdrawn $11.6 billion since June. 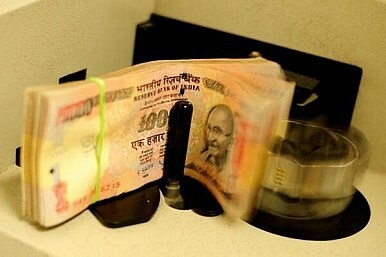 India’s rupee fell to a record low against the U.S. dollar earlier today, with analysts blaming increased government restrictions on currency leaving the country – a move that the Indian central bank had hoped would prop up the ailing economy. Instead, the ramped-up measures to keep capital inside India have led foreign investors to pull money out of Indian shares. The rupee slipped to 62 against the dollar during trading earlier today, breaking the previous low of 61.8 that occurred on August 6. According to Channel NewsAsia, overseas investors have rushed to withdraw nearly $11.6 billion in equities and debt since June 1, over fears of a weakening Indian economy. “The Reserve Bank of India (RBI) late on Wednesday reduced the maximum amount of outward direct investment by companies and individuals to a quarter of its previous level, putting the cap at 100 per cent of the Indian investor’s net worth,” reported The Financial Times. The RBI recently implemented several other economic policies in an attempt to support the struggling rupee. Customs duties for gold were increased alongside interest rates hikes for short-term borrowing. "There is a complete lack of faith in the markets. There are fears that the RBI measures may not help improve the rupee," said NSP Forex chief executive Param Sarma, according to BBC. Overall, the Indian economy – Asia’s third largest – has been growing rapidly. But annual growth is experiencing a troubling decline as the country’s manufacturing and service sectors slow production. India relies heavily on imported food, chemicals, and oil – each of which is priced in U.S. dollars. A weak rupee makes all of these essential imports more expensive for Indian businesses and, in turn, consumers. Last month, India’s Wholesale Price Index – the country’s main indicator of inflation – was up 5.79 percent from 2012. The rupee has depreciated 13.2 percent against the dollar so far this year.